This is a rectangular Real Tobacco porcelain sign. This particular Real Tobacco sign is predominantly black and white with red and white text. 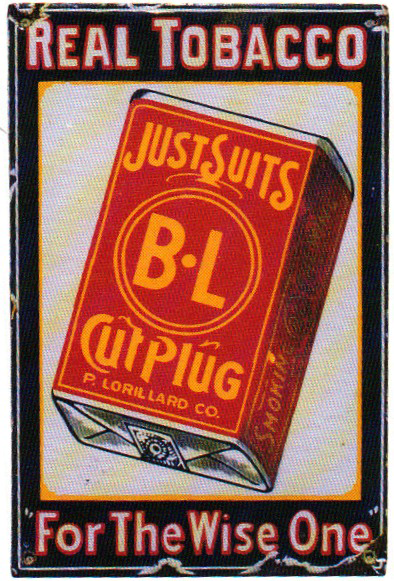 It reads, “Real Tobacco, For The Wise One, Just Suits, B.L., Cut Plug, P. Lorillard Co.” and features a red pack of tobacco in the center.